As spring comes breezing in, it’s time to spruce up the lawn. Winter turfgrass recovery can be made easier with these tips. Follow these easy guidelines for a faster spring time greenup. During late spring, turfgrass, depending on the type, is either on its way to its prime or on its way to decline. Geoponics compiled several tips from professional turfgrass managers. These professionals include golf course superintendents, sod growers and landscapers. Here are some of the top recommendations from the most experienced professionals for obtaining the fastest spring time greenup possible. Lawns pounded by record snowfall and subzero temperatures may need revival or may even be dead upon arrival this spring. Depending upon your conditions, some lawns will green-up while others may need to be replaced. Particularly harmful is the freeze-thaw-freeze cycle where changing temperatures can cause turf roots to become brittle and die. Areas of lawn that are close to roads or pathways may be damaged by salt was used for ice removal. Particular care or even replacement may be needed. For a fast spring time greenup, it’s crucial to know if your grass is just dead or if it’s dormant. As snow and ice melt away and temperatures rise, turfgrass will awaken from its hibernation dormancy stage and change from brown grass to green grass. If it’s not changing color, your lawn may have died. Here’s the test: Tug on the brown sections of lawn. If it comes out of the ground effortlessly, the roots have failed. In this case, the grass died. If the roots are holding their ground and hard to tug from the earth, it’s likely alive with hope. If the grass has died, replace turf after the last chance of frost. Also, replacement should occur when soil temperatures reach approximately 60 degrees (or between 50 and 65 degrees) and when night temperatures are 35 degrees or higher. 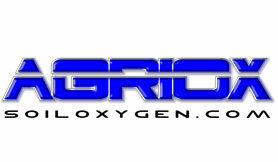 Soil needs oxygen with physical aeration techniques complemented by increased soil oxygen from Agriox. Decrease salt in the soil with Soil Detox. Reduce soil compaction with Penterra, which is the fastest-acting soil surfactant on the market. 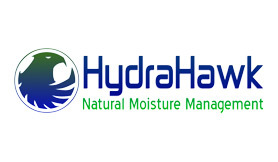 HydraHawk can add even more benefits for a quick green up this spring. 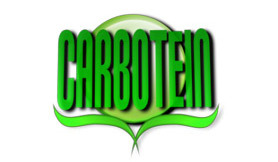 Encourage growth and vitality with Carbotein, which is organic and veganic. Use Endurant TC when grass is dormant. Transition to Endurant TE organic turf colorant with turf enhancer as the turfgrass exits dormancy and is actively growing. Using Endurant helps maintain consistent color throughout the seasons. Trim trees to reduce overly shaded areas. Allow grass to grow longer and higher in highly shaded areas, mowing at a higher height underneath trees to allow the blades to grow more surface area for sunlight absorption. Use Endurant turf colorant as the darker turf color increases soil temperature leading to faster greenup both in the short-term with the organic green pigments and in the longterm due to the slight temperature increases. 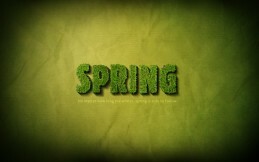 Want more tips on faster spring time greenup? How about consistent advice from professionals leading to healthy turfgrass, ponds, plants and trees?